Krzysztof Kieslowski’s The Double Life of Veronique is remarkably unique in the way that it flips the power balance between men and women. This is most notable in the marionette scene. About half an hour into the film Veronique and her students watch a puppet show about a ballerina who breaks her leg the first time she performs. This scene is the first time Veronique sees Alexandre, the puppeteer and children’s book author. Though this sequence is only about three minutes long, the comprising shots reveal quite a bit about male and female roles in the film. By utilizing contrasting closeups and medium shots, Kieslowski reverses the typical roles of men and women in film. In Laura Mulvey’s, “Visual Pleasure and Narrative Cinema” she introduces the concept of the male gaze. This idea suggests that women in film are typically shot in such a way that the males in the film as well as the audience can derive pleasure from looking at them. She argues that narrative cinema is shaped by an inequality between genders in which women are the object and men are the looker. Mulvey also points out that men derive a pleasure from being the looker especially when the woman is unaware she is the object. The Double Life of Veronique is a subversion of Mulvey’s essay because it features a woman as the looker and a man as the object. The marionette scene perfectly encapsulates Kieslowski’s reversal of Mulvey’s work. For the first two thirds of the scene all we see of Alexandre is his hands. His long black sleeves blend into the dark curtains of his stage, giving the impression that his hands are floating. Showing a specific body part in closeup like this is known as fetishization. Shots like this are typically reserved for women with a reverse shot showing a man viewing her. In this scene however, Alexandre’s hands are in the closeup and Veronique occupies a medium shot in the reverse. By filming the scene in this way, Kieslowski is tilting the unbalance of power in Veronique’s direction. She is given the privilege of a medium shot, showing most of her body. The viewer is not drawn to look at any specific part of her body and instead is encouraged to focus on her character. Alexandre does not get the same treatment. The majority of his shots are closeups of his hands operating the puppets. This strips him of his character and reduces him simply to a body part. Furthermore, a body part performing for a crowd of onlookers whose sole function in the scene is to watch. While Alexandre is performing throughout the whole of this scene, his face is not shown until the 21st shot, almost two minutes into this three-minute scene. Shot 21 is a point of view shot showing what Veronique is seeing. 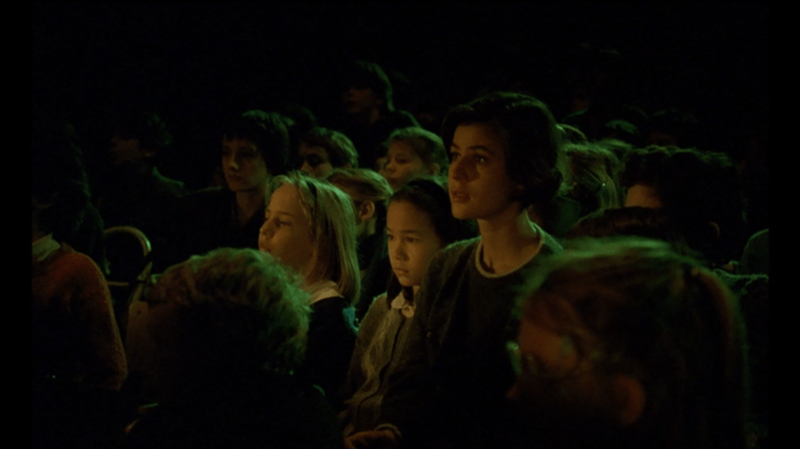 By showing the viewer what Veronique sees, Kieslowski is placing importance on her gaze. 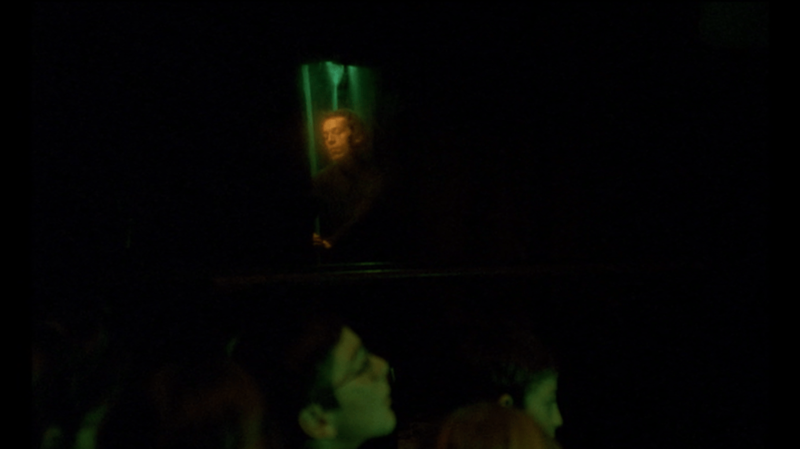 In this shot the camera pans from the puppets on the stage to Alexandre’s reflection in a mirror to the left of the stage. This is the first time we see Alexandre’s face. He is shown in a hazy beam of light, giving him a ghostly appearance. This contrasts with the crisp, clear image of his hands suggesting that his character is defined by a single body part. Before this he existed as a pair of disembodied hands. He did not exist as a character until Veronique looked at him. Veronique’s agency in this scene is what makes him exist. Veronique possesses agency of gaze in this scene. While Alexandre is performing she is expected to be watching the puppets. However, she does not restrict her gaze solely to the performance. She actively looks around and sees Alexandre’s reflection in a mirror. Following this point all shots of Veronique become close-ups rather than the medium shots they were before, the only exception being the 28th shot which is another medium shot of Veronique in the audience. The purpose of that shot is to show the contrast between what Veronique is viewing as opposed to what the rest of the audience is viewing. The use of close-ups puts emphasis on the fact that Veronique, the woman, is the one looking and Alexandre, the man, is the object. For the rest of the scene she stares openly at Alexandre, shamelessly taking pleasure in looking. Furthermore, Alexandre is unware that she is watching him, adding a new voyeuristic aspect to this scene from which Veronique draws pleasure. Veronique’s obvious pleasure from looking is typical of men in films, but by assigning it to a woman Kieslowski flips the traditional gender roles of cinema. Kieslowski achieves this disruption of the power imbalance between men and women in film by contrasting closeups with medium shots of his characters. 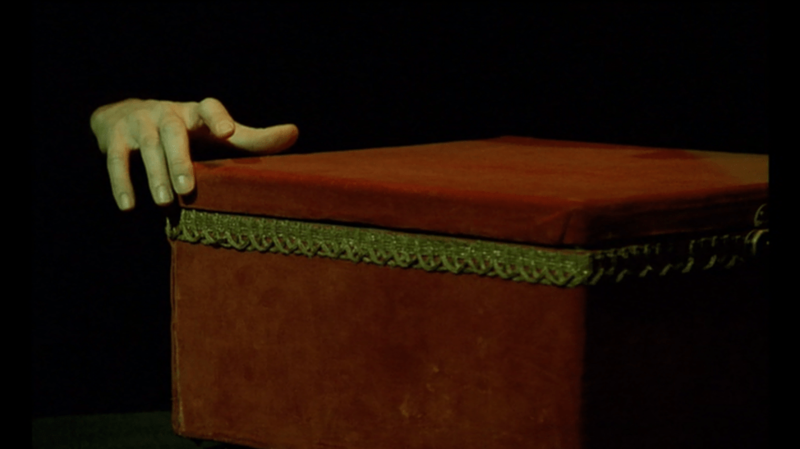 In using closeups of Alexandre’s hands Kieslowski reduces him to a subject to be viewed for pleasure. The use of medium shots featuring Veronique prioritizes her character and emphasizes her gaze. By filming the scene in this way, Kieslowski is subverting Mulvey’s claims in her essay, “Visual Pleasure and Narrative Cinema.” Instead of making Veronique an object of pleasure he gives her that agency and power that would normally be afforded to the man in the scene. This scene is the perfect example of Kieslowski’s mastery of his craft as well as why The Double Life of Veronique is such an intricate and enduring film.